The old colonial town of Guanajuato, Mexico is one unique city, that's for sure. And for someone like myself who has what I terma geographic dyslexia -- no matter where I travel, once I leave my hotel, I'm always a bit lost even when carrying an array of maps -- this town with its narrow cobbled lanes and alleyways that twist and turn in myriad ways presented a challenge. But that's fine, because Guanajuato has plenty of charm and surprises to boot. Probably the biggest surprise was the Museo de Los Momias or Mummy Museum. It seems the minerals in the soil and the inherent dry air helped preserve the dead. But these more than 100 mummies that are on full display within glass cases are not all neatly wrapped as you might expect from ancient mummies you've heard about in Egypt. No, these leather-skinned mummies are sometimes naked, sometimes in their now-tattered funeral clothing displaying smiling, somewhat placid or gruesome facial expressions. As someone who gets frightened in Friday the 13th or other horror movies, the exhibit had a high freak factor for me. But that doesn't stop many local parents from bringing their kids who don't seem to have a problem with the displays of mummies of all ages and in all degrees of decomposition. Nonetheless, it was definitely worth the visit, more because how often do you see this sort of display. Plus, you can walk away with a mummy t-shirt or a piece of mummy candy sold outside. It's a great conversation starter. The museum is just outside this vibrant university town which couldn't be more atmospheric. Guanajuato, a UNESCO World Heritage Site, is a maze of streets lined with dwellings that bear carved wooden doors, handpainted tile walls and wrought iron balconies. Soft pastel- and hot pink-painted houses hug the hillsides in this town that's nestled in a rugged river gorge. No wonder there are so many steep streets, some bearing staircases. 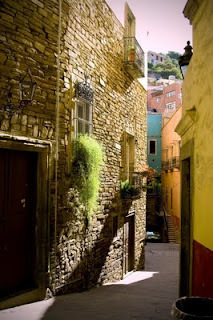 During the day, Guanajuato warrants strolling and relaxing. And my favorite stop was the Jardin de la Union, a tree-shaded plaza surrounded by flowers in the heart of the city that's perfect for people watching, dining in one of the outdoor cafes, listening to a mariachi-type band or sipping a glass of wine. 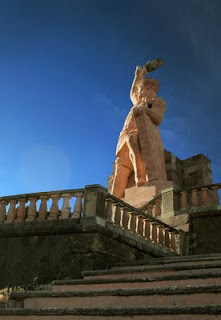 Another favorite activity of mine was wandering the steep path to the Pipila monument high above the town. At this hillside plaza, I had panoramic views of the boldly-painted houses that dot the terraced hillside as well as views of the rugged Sierra Madre mountains. With all the miniscule streets, it's only natural that the town boasts an interesting legend behind the Alley of the Kiss, a mere two-foot-wide alley. It's said that two lovers who lived across the alley but were forbidden to meet were able to kiss from their respective houses. 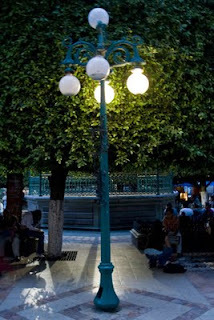 And wandering at night is also a perfect activity when the old-fashioned street lamps are lighted along the winding lanes where you might see troubadours dressed in traditional garb. I wish I were in Guanajuato over the next couple of weeks when the town plays host to the Cervantino, a festival of art, dance, music, theater, and other performances. It's held every October and this year it focuses in on the 400th anniversary of Galileo. But of everything I experienced in Guanajuato, my most memorable was staying at La Casa de Los Espiritus Alegras where the Mexican Day of the Dead tradition is alive and well and fun. Everywhere I looked I found something unexpected: hand towels wrapped with a cord decorated with hand-painted skulls, a dresser topped with a ceramic red devil and a sax-playing skeleton hanging above the kitchen stove. This inn is like a museum, thanks to the folk art and other crafts that the owners collected both from every state in Mexico, as well as their journeys to India. For example, the Raj Majal suite with its antiques and embroideries transports guests to India, while Nagual is decorated with animal mask -- appropriate given that the room takes its name from the word for the animal spirit that inhabits all of us. Thanks for these suggestions. My husband has always wanted to visit Mexico. What does the mummies t-shirt look like, I wonder? My son would love the mummy museum. Kids today definitely have a different reaction to these things, but I guess after seeing the BodyWorlds exhibit, some old mummies aren't too scary. Wow. Sounds like a truly interesting place. Maybe I'll visit someday. I suffer from geographic dsylexia - I love your term for it! - and to me, getting lost is way scarier than facing down mummies :)! Hi Sheryl, Yes, getting lost is definitely a challenge and I love how you compare it to the spookiness ofo the mummy exhibit. Thanks for visiting and commenting. Hi Martha and Me, After the BodyWorlds exhibit, the Mummy Museum is a piece of cake. Definitely because I saw both and the former is way more graphic. Sounds amazing. But let's not kid ourselves, children are naturally gruesome! This post really inspires me. There is so much to see and do in Mexico. We've only been to Loreto and then to Cancun (I was there on assignment or I would not have chosen it as a destination. The Yucatan was amazing though). I want to check out all these places! I love the story behind the alley of the kiss! Wow. Hi Jennifer, Mexico has such diversity. I've not been to the Yucatan but plan to in the future. I've heard it's so amazing. Hi Peggy, I too love legends like that behind the Alley of the Kiss. They really provide a wonderful window into the culture. Hi Frugal Kiwi, I was once a biology teacher and saw first hand that kids love all things gross and gruesome. I'm going to Mexico in January for the Food Blogger event, but I don't think I'll have time to do anything else. I've always wanted to go for Day of the Dead. Hopefully someday soon! Where exactly is Guanajuato? I haven't heard of it. I love exploring the less traveled towns in Mexico. When my family went it always seemed that we happened to be there during some sort of festival. Hi ReadyMom, Guanajuato is a bit over three hour drive north of Mexico City. Hope you get to visit this wonderful town. Most tourists, it seems, visit the very on-the-radar San Miguel de Allende but I much prefer Guanajuato for its sense of authenticity. Hi Stephanie, Hope you enjoy the Food Blogger event. Anything to do with the Day of the Dead is interesting in my book. Maybe when you're in that area again and have more time, you can make it to Guanajuato. What an interesting way to get inside a new locale. Nice post...unique. Hi Meredith, Thanks so much for your kind comments. 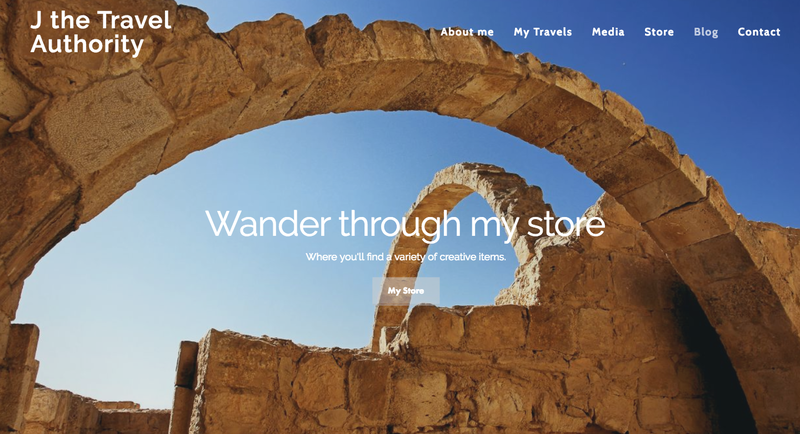 I love finding authenticity when I travel. Hola Jeanine! Remember me? 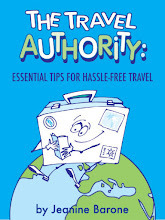 I found your blog today via the Independent Traveler 35 Travel Tips article. Looked for posts on Mexico and found this one on GTO...and the Casa de Espiritus Alegres, where we met oh-so long ago. Write on! Hey Betsy, So great to hear from you. It's been forever. Hope you've been well. And I really appreciate your visiting my blog. Keep in touch. Wow I never knew they had a Mummy museum, this is great news looks really good.